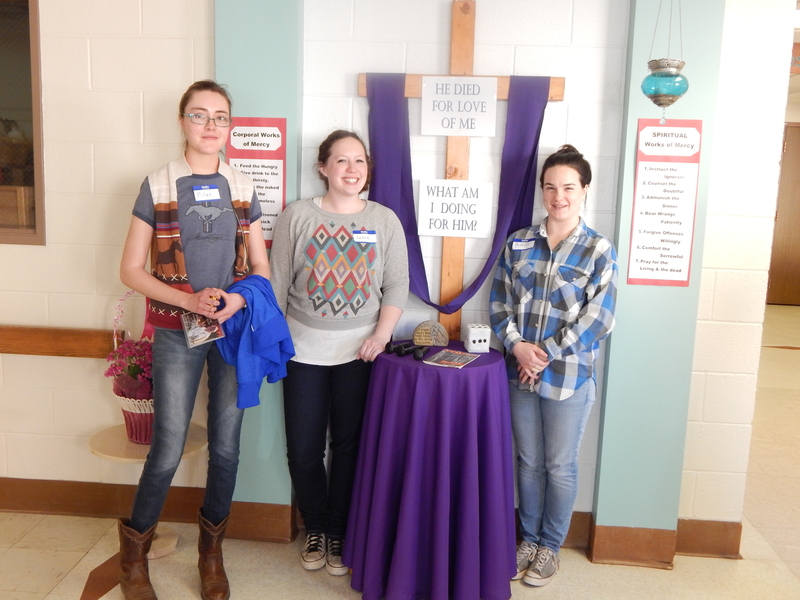 At Villa Guadalupe on Saturday, February 20, we hosted a Come and See Day for young women – a day they can come to get to know the Little Sisters and see how we live out our vocation of mercy serving the elderly poor. The day opened with coffee, donuts and a tour of the home. 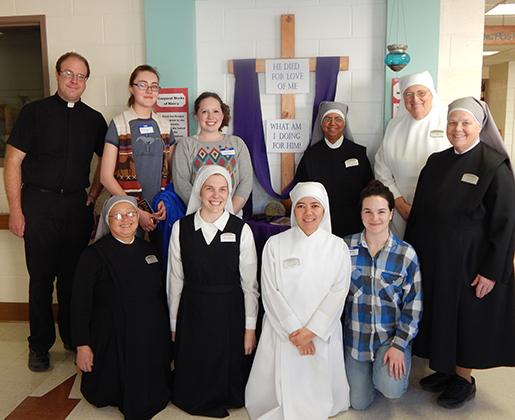 Later in the morning, we showed to the young women a video presentation to show them in depth how we, as sisters, live our vocation of mercy by doing the corporal works of mercy day in and day out. 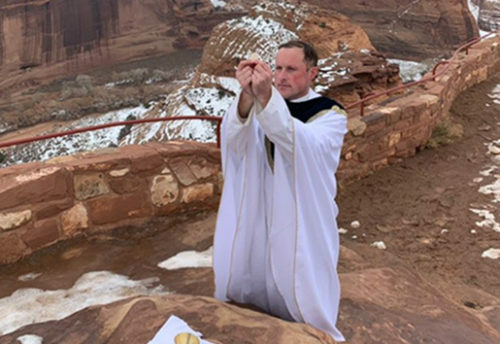 Following that was the Holy Sacrifice of the Mass with Father Josh Mayer, Vocation Director for the Diocese of Gallup. Lunch was served after Mass and good conversation was made, especially when we did Q&A with all of them. After lunch, Fr. Josh exposed the Blessed Sacrament and gave a solid talk on knowing our mission here on earth that the Creator created us for. He said our identity of who we are flows from that specific mission and when we realized who we are, our relationship is being lived out to the fullest with God. 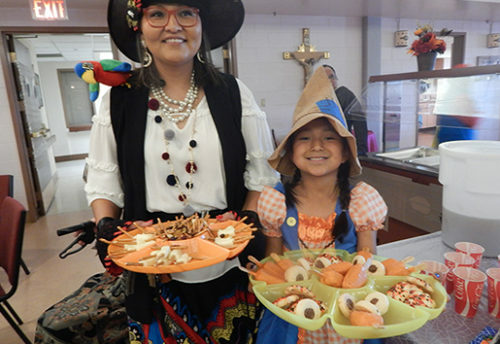 All the young women said that this day was a day of sacredness and peace and they were able to profit well of this day of prayer and discernment. May we continue to pray that the Lord will continue to send workers out into his vineyard. Copyright © 2018, LSOP Gallup. All Rights Reserved.